Illinois reached the Sweet Sixteen of the NCAA Tournament for the fourth time in school history in 2013 and made its 12th NCAA Tournament appearance. The Illini were one of a conference-record eight Big Ten women's soccer teams to earn a bid into the 2013 NCAA Division I Women's Soccer Championship (Illinois, Indiana, Iowa, Michigan, Minnesota, Nebraska, Ohio State and Penn State). Illinois hosted the Big Ten Tournament for the second time in school history and first since 2000. 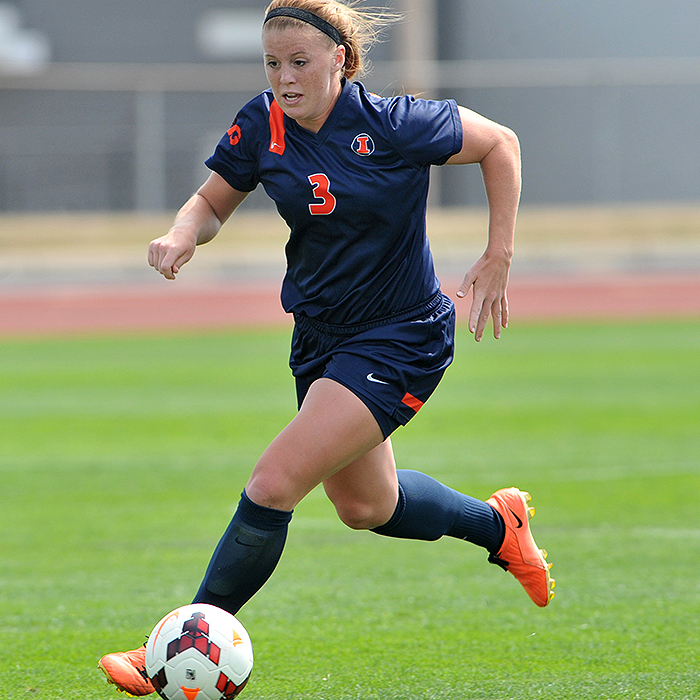 In the final NSCAA/Continental Tire Coaches Poll, the Illini were ranked No. 25, as they entered the Top 25 for the first time all season. Illinois' 54 goals in 2013 ranked as the third-most in school history and most under head coach Janet Rayfield. Forward Jannelle Flaws finished tied for first in the nation with a school-record 23 goals in 2013 and was named Big Ten Forward of the Year. Flaws broke Emily Brown's 14-year-old UI record of 18 goals from 1999 and accounted for 43 percent (23 of 54) of Illinois' goals. Midfielder Vanessa DiBernardo was drafted by the Chicago Red Stars with the No. 4 overall pick in the National Women's Soccer League (NWSL) College Draft. DiBernardo became the highest drafted player in school history and the first Illini taken in the second year of the NWSL draft.